Saving up for a new Vespa has never been easier. The coin slot is behind the seat. Measures 8 1/2″ by 6″ by 4″ and is $16. 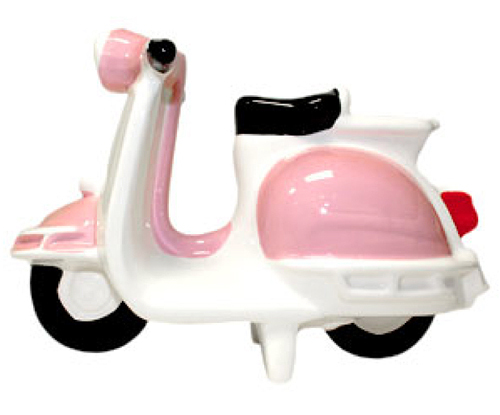 This entry was posted in Ceramics, Pottery, Decor and tagged coin bank, piggy bank, pink, scooter, vespa by Tracy. Bookmark the permalink.